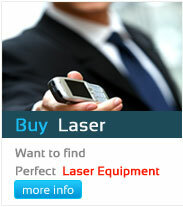 My-laser (India) has made every effort to make sure that the contents of this web site are updated and correct. Besides all this, errors and mistakes cannot be completely avoided. We highly apologies for the same. Corrections & suggestions from our audience is welcome. My-laser (India) do not at all accept liability for the correctness, relevance or completeness of the information offered in its web site. This refers to any loss, additional costs or damage of any kind suffered as a result of any use of any material in this web site. Therapy laser equipments are strictly to be used under trained expert’s observation. My-laser (India) reserves all rights including the rights of reproduction, the duplication and distribution. Being common, standard information some of the words, terminologies, statements may found similarity with other such service providers. My-laser (India) has provided links to other such web sites & information, which are not at all controlled by us. Basic scientific interest in providing such links, is just to make available maximum possible information regarding the subject to all our audience. Any such link / links if needed, to be disconnected or reconnected or establishing new link connection, all can be obtained by mutual consent between relevant parties. No financial or legal terms are attracted towards this issue at all. 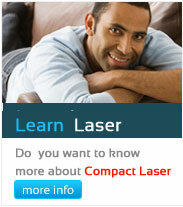 This general disclaimer is part of the material offered in the My-laser (India) web site. In all and every aspect it does not attract any legal clause. 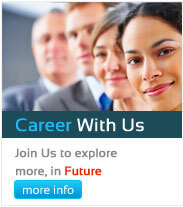 As this is clearly an informative web-site. Information furnished in here is obtained from various laser practitioners & patients & manufacturers & dealers. More information, correction of information can be observed by mutual understanding. Every effort has been taken by us to make this to work at international standards. Audience & the participants and the doctors & the patients, also other similar service providers within India & across the world who have visited this web page are here by assumed to agreed that that the court of Law in Solapur,India shall have exclusive jurisdiction regarding any dispute arising out of any clause in regards of this web-site or any other related matter. Medico-Legal problems : Such any problems aroused if any are to be handled independently by the concerned parties & in no ways My-laser (India) or related medical practitioners, equipment supplier / manufacturer can be involved / held responsible for that. (1) We are bound to treat your personal information ( Name, Address, Date of Birth, Email Address, Phone number, Cell number, Fax Number, Bank account details, name of doctor etc.) as per the law of secrecy. (2) While studying our website online, we will be recording: Name of the accessed file, date and time, data volume, report of data transfers, web browser, domain and IP-address. (3) Complete recorded details of information provided by you is saved with us & can be amended, deleted, communicated to you or other parties upon your written request only. we shall immediately react to all such request at our earliest. (4) This is purely a scientific & informative web-site. Our initiative taken, towards creating awareness regarding Low Level Laser Therapy in India. (5)We hereby do not accept or appoint others to collect any kind of payment against any information or services offered to.